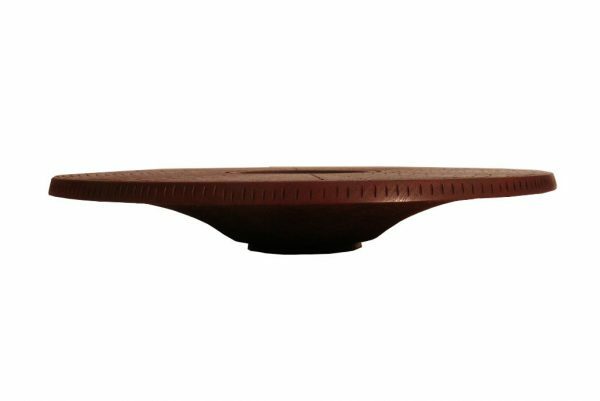 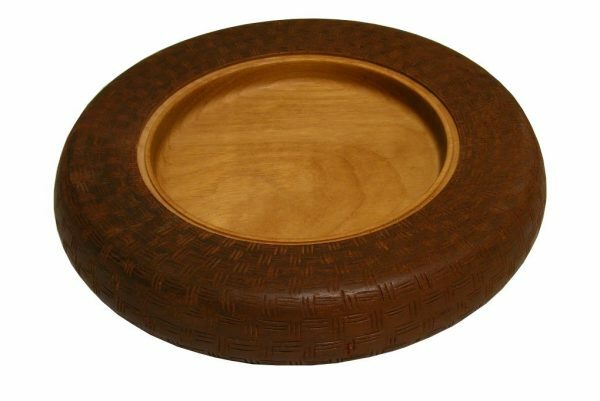 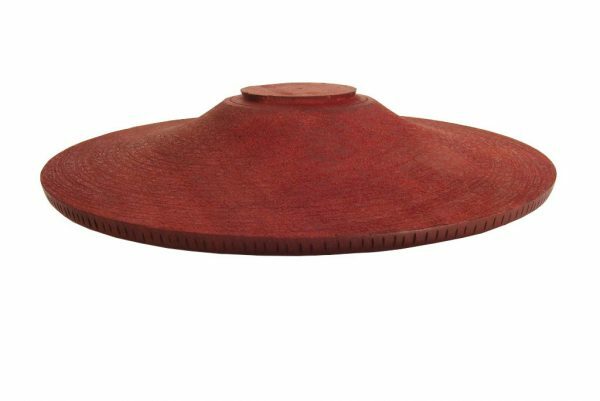 This Designer Burgundy Wooden Bowl uses it’s wide border as a pallet to display carved designs. 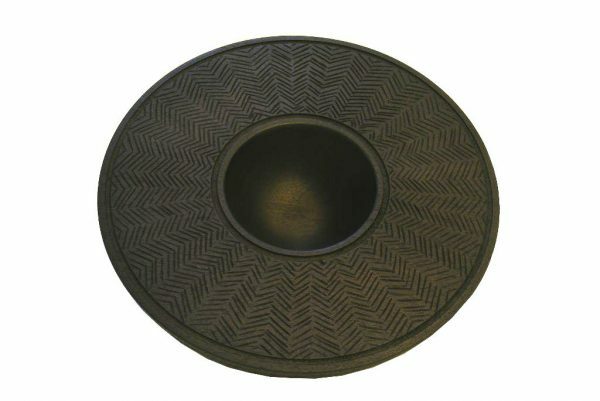 There is a bowl in the center which can be used for candies, or nuts. Or the folk art bowl can decorate your table or mantle. 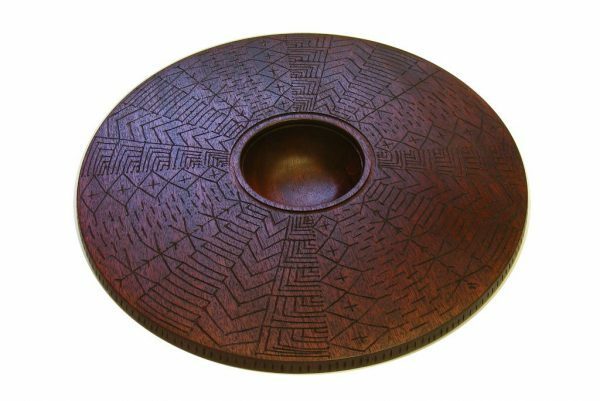 This bowl has been lathe turned, carved, and finally dyed a brilliant burgandy. Decorative tableware for your home, for a wedding gift, or for a special friend. 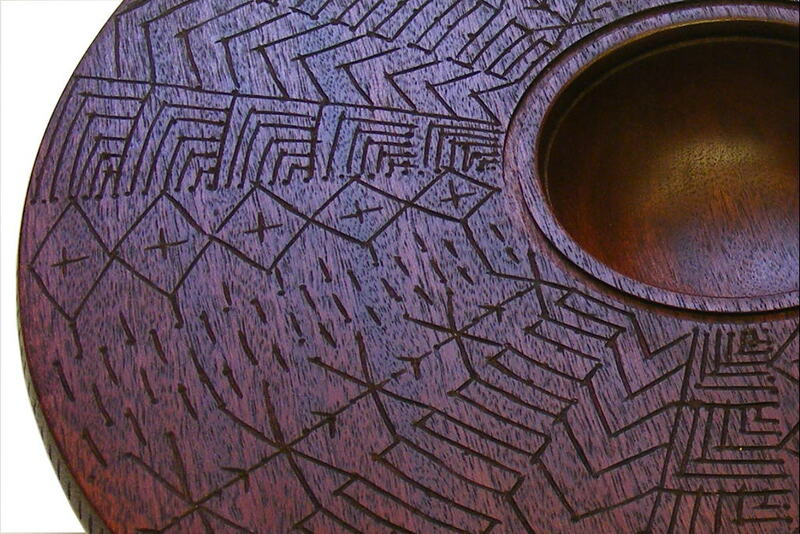 Dimensions: 11D x 1.75 Th ” (28 D x 4.5Th cm) Sapelli wood.